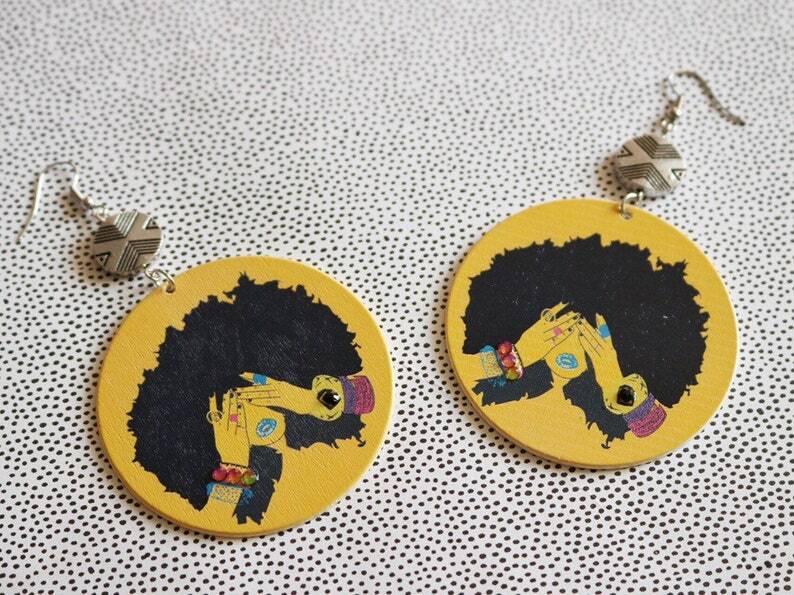 Fierce Fro Earrings are for every occasion. Made with wood and silver tone metal and a little bit of bling, the piece can be dressed up or down. What you’ll love about the earrings is the printed woman with a large fierce fro, covering her eyes showing off her gorgeous crown, full lips, and beautiful bangles. I think it translates to a variety of meanings, but all display a since of confidence from Fierce Fro Earrings! Get a pair for you and your friend!